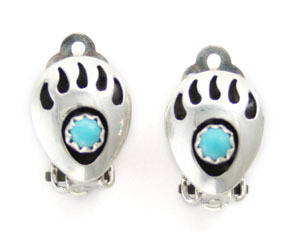 Sterling silver shadow box mini bear paw clip on earrings. They have one 3mm turquoise stone in the center and measure approximately 1/2" long by 3/8" wide. Navajo crafted by Gaynell Parker.